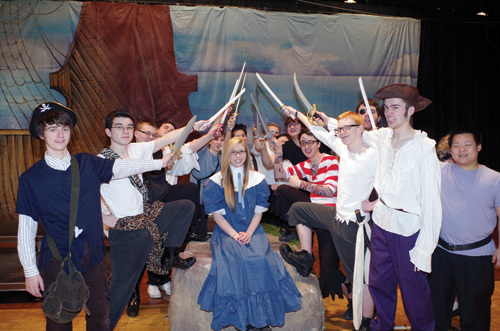 High jinks on the high seas is the setting for Grand Island High School's annual musical. 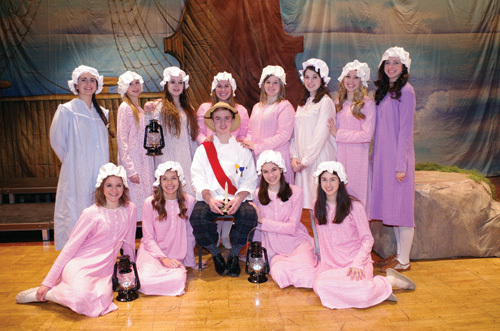 "The Pirates of Penzance" will be presented Thursday, Feb. 6; Friday, Feb. 7; and Saturday, Feb. 8, on the high school stage, 1100 Ransom Road. 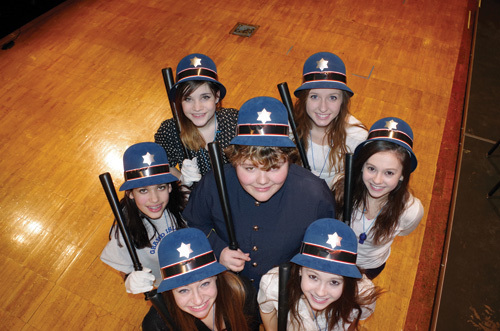 This ambitious production is one of Gilbert and Sullivan's best known comic operettas. The story begins in Cornwall, England, where a band of pirates celebrate the 21st birthday of Frederic (Elliott Michki). 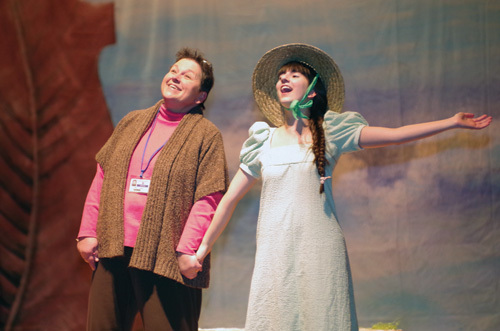 Frederic was mistakenly indentured to be a pirate by his nursemaid, Ruth (Amanda Weselak). Frederic is about to leave the ship a free man when Ruth and the Pirate King (Jared Eichel) convince Frederic to take the older Ruth with him. Frederic wants to compare her to other woman because Ruth is the only woman he has ever set eyes upon. He is taken aback by the youthful beauty of group of young maidens on the shore. He is smitten with Mabel (Magdalyn Chauby) and angry with Ruth for misrepresenting her beauty. 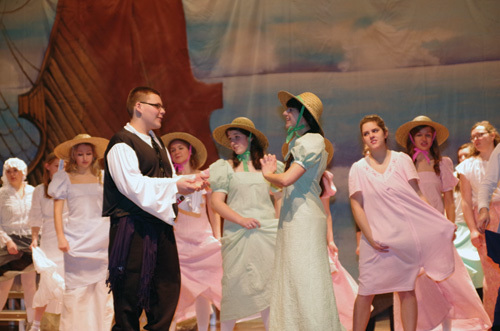 The pirates come ashore and try to abduct the young women and marry them. They are stopped by the Major General (McLain Erhard), who claims he is an orphan like the pirates and he would suffer alone without his daughters. The pirates relent and release the girls. Act II begins with the Major General fearing the consequences of his lie. His many daughters, (Jessica Ackendorf, Jill Anderson, Carly Bernatovicz, JuneAnn Chadima, Kate Fonte, Rebekah Gaydosh, Alex Gormady, Carly Hand, Catie Merletti, Kamra Phillips, and Jenna Stufkosky) assure him all will be well. Frederic arranges for the Police Sergeant (Mick Hughes) to arrest the pirates. Ruth and the Pirate King reappear and inform Frederic that he has not completed his servitude as a pirate because he was born in a leap year. His 21st birthday would not occur until 1940. Frederic must return to his life as a pirate. A battle between the police and pirates follows, but all is well by the closing curtain. Tickets can be purchased in advance by calling 773-8820, ext. 3083007#, or they can be purchased at the door. General admission for the show is $8.